Tipoff: 4 p.m., BOK Center, Tulsa, Okla.
What's at stake? 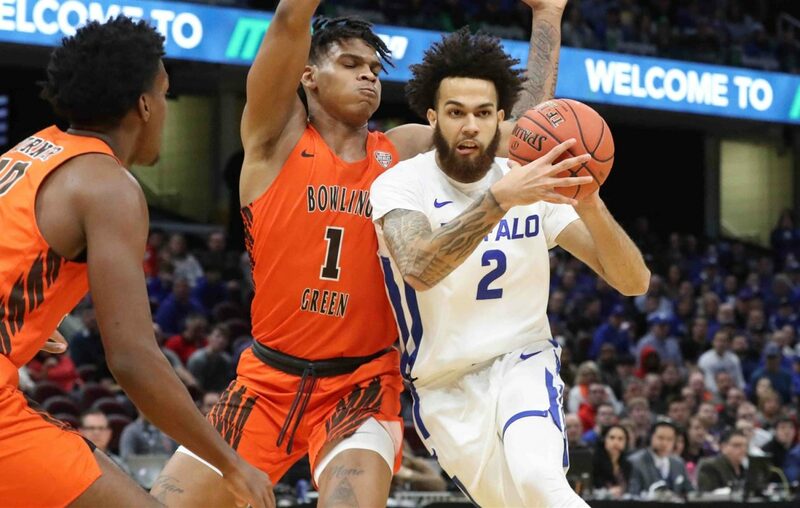 : University at Buffalo men’s basketball coach Nate Oats will face his predecessor in one of the more anticipated (and maybe predetermined) storylines in the NCAA Tournament. Oats replaced Bobby Hurley as UB’s coach in April of 2015, and the sixth-seeded Bulls face Hurley's No. 11-seeded Arizona State Sun Devils for a spot in the second round. Hurley won his first tournament game as a coach when the Sun Devils beat St. John’s on Wednesday in a First Four game. Hurley was one of Duke’s most decorated point guards in the late 1980s and early 1990s and was the Final Four Most Outstanding Player when the Blue Devils won the second of back-to-back national championships in 1992. This “winning in the NCAA Tournament thing,” meanwhile, isn’t new for the Bulls. UB is about a year removed from one of the more significant postseason upsets, when it beat Arizona as a No. 13 seed in the 2018 tournament. But the goal now for the Bulls is to go deep into the NCAA Tournament. Oats needs to outsmart Hurley, and UB needs to follow suit on the court to earn UB’s second NCAA Tournament win. The Sun Devils: Arizona State dominated the better part of a 74-65 win against St. John’s in a First Four game, but careless moments in the second half allowed the Red Storm to cut Arizona State’s lead to seven points. Sun Devils guard Remy Martin averages 13.1 points and 3.2 rebounds per game, but has been plagued by a groin injury and his absence impacted the Sun Devils in the second half against St. John’s. Freshman guard Luguentz Dort, however, has become the on-court leader for Arizona State, averaging 15.2 points and 4.3 rebounds per game while Zylen Cheatham is the Sun Devils' dominant inside presence, averaging 11.8 points and 10.4 rebounds in 33 games. The Bulls: The NCAA Tournament is nothing new for the Bulls, but the goal has changed: UB wants to get to the second weekend, preferably the Sweet Sixteen. The Bulls enter the NCAA Tournament on a 12-game win streak. CJ Massinburg leads the Bulls with 18.3 points per game, while forward Nick Perkins comes off the bench averaging 14.4 points and a team-leading 7.3 rebounds per game. Guard Jeremy Harris averages 14 points per game and has found his scoring touch in the last five, averaging 20 points in that stretch. UB’s stealth asset, however, is its defense, particularly Dontay Caruthers, a two-time MAC defensive player of the year, and the Bulls need to maintain their poise. Outlook: Buffalo has a better inside presence and quicker guards than the Sun Devils, but the Bulls need to establish a presence inside on both ends of the floor. The Bulls boast two quality defenders in Caruthers and Davonta Jordan, and if Arizona State has a stretch of careless moments like it did against St. John's, the Bulls will put the game away.